Today begins a new series, Wardrobe From Scratch! I’ve received emails from many of you asking for advice as you do closet overhauls or rebuild your wardrobe completely from scratch. Often times the questions felt so big to me that pointing you all to this wardrobe overhaul post or to the list of my personal closet staples didn’t seem like enough. There were still questions asking for even more basic step-by-steps and how-tos on building a wardrobe. My hope with Wardrobe From Scratch is to give you a starting place so that you feel like you have some tools to do this on your own. A couple of weeks ago I invited you all to volunteer as a case study to be live examples of all of this content. Big, big, big round of applause and thanks for all of the women who bravely took pictures of themselves and volunteered to open themselves up to us. Thanks to these women we’ll be able to see a wider variety of style plans tailored for women of different body types and lifestyles. If there are other things you have questions regarding overhauling or building a wardrobe, please email me ASAP so that I can try to work it in.So, onto Part 1 of Wardrobe From Scratch – defining your lifestyle needs and your style! Before we can do or buy anything, we need to find a focus. There are a million ways you can dress and a million different pieces you can buy, so we have to narrow it all down and hone in on what will work for you. The two main things we need to do are: 1) identify your lifestyle needs and 2) define a style that you’re aiming for. Determining these things will provide focus with what kind of pieces you’ll look for and hopefully make shopping a little less overwhelming. Obviously, we want your wardrobe to be functional for your lifestyle rather than being a generalized list “closet staples” that don’t actually work for your day to day activities. It’s important that we identify what kinds of ways your clothes need to serve you. What are your typical day to day activities? Maybe you’re a working professional, or maybe your a stay at home mom. Maybe you’re a working professional AND a mom of young kids. Maybe you’re a teacher who has to bend down and work with little kids all day, or maybe you are a marketer in a business-casual office who sits in meetings with clients. I’ve said before that I don’t like telling women stuff like “The 10 Closet Essentials Every Woman Needs!” because I really believe everyone’s lifestyle needs are different. Defining your lifestyle will totally direct what kinds of pieces you need for your life. If you’re a stay at home mom living a very casual lifestyle, you probably don’t need a lot of power suits or trousers. If you have lots and lots of weddings to go to, you should probably invest in some versatile dresses that can be dressed up or worn casually. But don’t worry about that–we’ll get to that later in the case studies. Besides identifying your lifestyle needs, it’s helpful to define your style. Now, you may be saying, “I *have no* style, that’s why I’m in this boat!” Don’t worry! All you need to do to start is do a little research and create a style board. That’s all. No one’s asking you to wear the outfits or to buy all those pieces yet. Just create the board. Either flip through People Style Watch or InStyle or Lucky Magazine or research celebrity style online and find 1-2 celebrities or bloggers whose style you identify with. Or if you are on Pinterest or Go Chic or Go Home, pin outfits you like. If you have a Pinterest style board, make sure it’s pretty filled out. If it’s already robust, then you’re ahead of the game. Next, analyze your board for common themes. One place I find myself getting stuck with Pinterest boards is that I’ll pin an outfit and get so fixated on one outfit and trying to get the exact items to put together that exact look. This can end up in a lot of shopping mistakes. Instead of looking at the outfits as individuals, broaden your scope to look for general commonalities or themes from the photos you’ve collected. Do you see a lot of jeans? A lot of pencil skirts? A lot of pastels? A lot of bold colors? A lot of neutrals? A lot of cardigans, or a lot of blazers, or both? Are stripes your thing? Polka dots? Florals? Are there tons of scarves on your board? Boots? Colorful heels? Jersey knit dresses, or fancy schmancy dresses? What kind of activities do you need to dress for? Figure out your lifestyle needs by answering the questions in the first section. What patterns can you identify from your own style board? Create your own style board and identify the themes and patterns you notice. I have a casual work environment (jeans are fine!) but want to look put together so I am noticed in a positive way. Weekends are extremely casual. I occasionally have special events to dress up for, and I have plenty of those items: suits, cocktail dresses, and formalwear. ok I kind of feel like a little kid in a candy store about this whole series. So cool, helpful and fun! This series sounds fantastic! I'm turning 30 this summer, and have been using your blog and others as fashion inspiration. I'd never really paid much attention to how I dress before, but now I can see how adding a scarf or a cute jacket can really make me look more "put together" 🙂 Thanks so much for all that you do! Your "How to Build a Remixable Wardrobe" was a great read, and has really been sticking with me as I shop…thank you! Looking forward to this series as well. Very helpful post..agree with your idea on wardrobes and outfits being different for different lifestyles….! This is such a great idea! I'm 23 and graduating college in the middle of next month. I have a pretty good sense of what clothes I like to wear and what my personal style consists of. However, I'm sort of stuck in a phase where I buy clothing just because it looks really cute, or it's totally different than what I on my friends Pinterest boards. I need to begin putting things together in a better way so that I'll actually wear the items more than once without getting bored with it! I also studied public relations in college, so I am going to need lots of business casual outfits, but don't know what to buy that will look professional without compromising my own personal style. Love this post, can't wait to see what you write next!! I'm so glad you're doing this series! I've been feeling in a style rut since having my baby (body changes, lifestyle changes, etc), and I'm ready to start remixing what I have and adding some fun pieces along the way. Headed over to pinterest now to start my style board! What a great post! I'm so excited for the future posts! I'm just sorry that I didn't see the case study post, else I would have definitely volunteered. I'm 35, and a stay at home mom. I like to look put together and casual. We spent almost every weekend out, either at child's birthday party or at Disneyland. We spend few weekends at home. Our weather here in so. CA is very mild, I usually only need a cardigan, which is good, because I don't like bulky sweaters and I don't like to wear socks. I wear flats and sandals the most. I don't own boots. I'd like to but it's so challenging to find ones with good fit. I have a Pinterest fashion board but it's looking very bare. I'll have to start adding to it more often. Great tips – looks like it is going to be a very helpful series. I am so excited about this series! I am at stay at home mom to 2, recently turned 30 andin a fashion rut. I like to dress casually, all my pins are of outfits with jeans. 2013 is the year of change! I love your posts and so look forward to the new "Wardrobe from Scratch" series as a way to better define my personal style! What kind of activities do you need to dress for? I am a teacher at a private school with a "nicer" dress code (no jeans, no t-shirts unless they are accompanied by a cardigan or a blazer, skirts must be to the knee, etc.). When I first got this job, I made a rule that any clothing purchases had to function as work appropriate apparel while also being weekend wear, so most of my clothing works equally well with slacks, a nice skirt, or jeans for personal days. I have a lot of friends getting married and having babies, so I try to fill out my outfit with a few nice dresses, but when it comes down to it I am very very low maintenance. If it takes more than 5 minutes to get dressed, it takes too long. What patterns can you identify from your own style board? 1) you're a facilitator. You teach rather than tell. You let us think about what works for us and not just copy someone else's style. 2) Like myself, you love the Lord enough said. 3) For someone like myself who is already a fashionista, I still learn so much from you. I told you before that we have some of the exact pieces but now I get more ideas of how to mix it up. 4) Through your blog, I found another blogger who shares my style and now I'm taking more risk and loving it. 5) You're post are thought-provoking. I actually organized my closet and see what I have, analyzed commonalities and made a list of specific items I will need to complete my wardrobe. 6) Because of YOU I bought a MUSTARD cardigan and love it! Before you, you could never catch me dead in any shade of yellow!!! 7) you listen to the concerns of your followers rather than just post in "look how wonderful I am today" kinda way. Because the truth is most bloggers are narcissistic but you are so humble. 7) You repeat your clothes like real women do. I hate bloggers who will just wear the item one time. You show us an item 50 ways!!!! Love it!!! Excellent idea for a series! I am not building a wardrobe from scratch myself but I'm always learning something from your posts. Also, somehow, even these kinds of posts can be long, I always find myself reading them all without noticing because you make them very interesting and instructive. Good job! Thank you for your great blog! I am have just gone back to work in a business casual environment after 10 years of being a stay at home mom and your advice and inspiration have been so helpful to me why I am finding my new grown-up style. Just this weekend I went on a major shopping spree and rather then looking for "cute tops," which has been my normal shopping mode for years, I was buying pieces that could be mixed and used in different ways. And I am getting compliments from my teenage daughter's friends! I am thrilled to follow this series too. just wanted to say, this series sounds so awesome! Really looking forward to it. I know you've said before in various posts that you are, by no means, an expert on anything here, but just want to share what your experiences are…and I think they have been so helpful! Sometimes it's just really helpful for someone to actually say out loud what I may have been vaguely thinking. Excited to be getting in on the beginning of this one!!! I'm really going to enjoy working through my wardrobe again while reading your new series. It makes for great conversation with my teenage daughter also, so both her & I will be enjoying your blog posts. Good on you & well-thought out!! This is great! I've been feeling in a style rut. I'm looking forward to implementing your plan. I loved reading your wardrobe make over on your friend and I look forward to doing this for myself!. Fabulous post! I couldn't have said it better myself! I consistently want to buy things (shopping mistakes) that are too casual for me to wear to work. And if I'm being honest, I'm not a casual dresser. I'm not fancy, but definitely not a jeans/tee kinda gal. Great advice!! I can't stop raving about your blog! Your practical advice is really helping me to finalllly define my style so that I can create looks that reflect who I am and make me look my absolute best. It was like a lightbulb went off when I read one of your posts and it said to dress for your life. Simple advice, but I'm sure is difficult for a lot of us because we get caught up in trying to dress like how we think we should dress vs dressing for who we are. Taking your advice is just confirming my vision for how I want my wardrobe to look. Thanks for your insight! This is my first time seeing your blog and I'm so excited. haha. This is mine and it has a lot more color than my real wardrobe. I wear black 98% of the time. I really want to have an amazing wardrobe that always gives me confidence when I get further in accomplishing my goal of being healthier. i totally meant to submit a photo for this. boo me. Yay, Jess! My favorite is when all you have to do is add one thing like a scarf, a necklace, or a jacket to instantly feel put together. Sounds like you're doing great! Good for you, Jessica! Good luck with the style board! Every weekend at Disneyland is my (27 year old) brother's dream. It's almost a reality for him, even though we live in San Diego! And I'm totally with ya on the socks. I feel so suffocated in them! Hi Megan! I remember your submission. 🙂 Sounds like you made a great rule for yourself with requiring purchases to do double duty! Oh, you are so very sweet. Thank you so much for all of that encouragement! And yay for the mustard cardigan! I thought the same as you–I wouldn't be caught dead in that color–but seeing it on two other bloggers made me realize how versatile it could be. 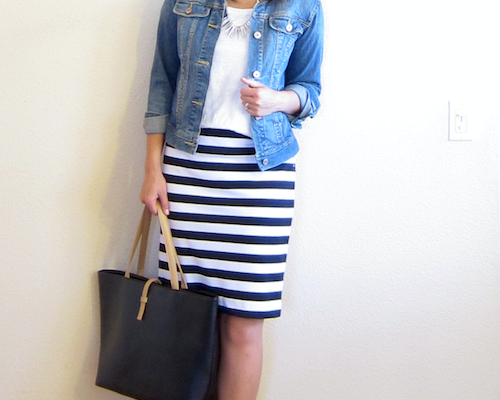 Yes Janell–you are definitely one stylish chica and you're rocking your wardrobe. Feel free to chime in with more advice for others. The more the merrier! Aw, I love that you get to have great conversations with your daughter, Louise! Good for you, Tamara. I hope this helps you somehow! Great to hear, Jay! I am sooo with you on the dressing for your life. I said it because I was doing the opposite myself. I ended up with a bunch of piece I thought I needed or at least just wanted to have but never ended up wearing because I couldn't use any of them. Good luck with everything! Welcome, Steph! I think the goal for your wardrobe sounds excellent, and I hope you are able to achieve that soon! This comes at a PERFECT time for me! I am a new mom and am struggling with how to dress now that I wear a baby most of the day. I need to get on pinterest and get started!! So excited for this series! You are so amazingly helpful! New to the blog and loving it. I actually saw a few pictures of you on pinterest before I actually found one with your blog link (that stinks) but anyway. Happy to be here. Love your style! Loving the colors, youthful to it (without being to crazy – Some bloggers looks just as good as UGLY BETTY before the makeover) etc. I'm turning 30 this summer too! Actually, I just want to say ditto on your entire comment lol. I like how these questions work for a from-scratch wardrobe and for the closet cleanout that I'm excited to get on soon… And I've been working for a while on a pinning philosophy of finding patterns/themes (for any of my boards! ), and then once I do, sticking to pins that fit the pattern and fit me and my wardrobe/lifestyle. Thinking before pinning has helped me avoid some of the Pinterest pitfalls – and keeps my boards to a manageable size to actually look through! Love these tips! I am not rebuilding my wardrobe, but I am always unsatisfied with my winter outfits. After looking at my pinterest board closely I am apparently into polka dots and pencil skirt-dresses. 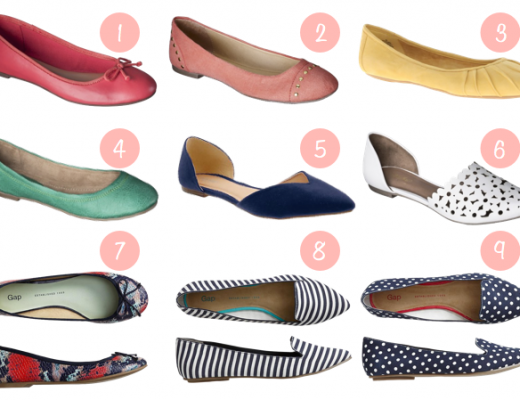 I have one of each of those in my closet right now… hm. Love this series; have a quick question. Heels don't fit it with my day to day activities and I look horrible in flats. Suggestions on great place to find cute wedges? I am so glad that I googled last night. I am absolutely going to do all this and share it on my blog. You have such a great perspective on this. I think the questions you asked to guide us are really good ones. Thanks for doing this. I never comment on blogs but this was soooo much more helpful than any other fashion post I have seen. I actually have an idea of where to start! Thank you! Wow, thanks for taking the time to write, Jamie! So glad this is helpful for you!! Audrey! This series is ingenious. Love the practical advice and the challenge you left me with to figure out my own style. I pretty much have a uniform of jeans or yoga pants and a v-neck tee, which I am so sick of. Especially post baby I just feel like a frump & know I have better style than that 😉 I'm excited to read the rest of your posts in this series and possibly spend my Christmas bonus I've been saving! I wish I had seen you call for case studies sooner, I totally would have done it for all the other new mamas out there trying to dress their "new" shape! PS when do I get to see you again? Omg it took me forever to figure out which Katie you were because I didn't know your last name! Haha. Dude, if you want any help I can help you in person! I'll see you again in the middle of May! Found this post through Pinterest (ironic) and am literally writing out my activities/needs and patterns from my style board. So excited to get through the rest of the series! Found your blog through Pinterest. I am a stay at home mom who is turning 30 tomorrow. I just had my third daughter and I decided it is time to build a wardrobe and be a good example to my girls about how to dress. I've been living in workout clothes or ill-fitting college style clothes with the occasional put together outfit for a special event or nights out. This series is just what I need! Thanks!!!! YOLO peeps so start Living! I just came upon this site in the last few days and I am so glad I did! This site has been so very helpful to me. I have always struggled with dressing myself but these series are definitely helping open my eyes to all the ways u can use one piece of clothing and how to accessorizing which i am totally loving. Thank you, Thank you, Thank you! Im off to look at my pinterest board. I start a new job on Monday, and am scrambling to figure out what to do! That's fantastic to hear, Stephanie! Thank you for writing–it's encouraging to hear! Have fun with your wardrobe! Wow, this is revolutionizing the way I think about my wardrobe & I don't think that's an overstatement!! I was looking for a list of items I could check off my shopping list and be suddenly stylish, but when forced instead to think about my lifestyle I realized I would never WEAR those items. I wear scrubs for work & spend most of my free time 1. hanging out with my hubby & our 3 sons and 2. doing yoga. No wonder I don't feel fashionable when my cute outfits gather dust in my closest with no occasion to wear them! Mission: find clothes for MY style & lifestyle. Thanks chica!! I'm so encouraged to hear that! Good luck with it all, and thank you for taking the time to say hi! Oh my. THANK you so so much. I see it all differently now. You have no idea.